So, very very early on in my filmmaking days, I approached my yearbook teacher with a cool idea: what if I documented an entire school year and then created a documentary about the year at the end as a retrospective that students could have as a keepsake of that year. Everyone thought, hey, that is a great idea, let’s do it! And so I filmed a lot of stuff. But not everything. See, when you’re a high school student, you do have to go to class and you do have to study and you do have social groups that you don’t mesh too well with for whatever reason. So really what ended up being filmed was more the 2005-2006 school year, through my eyes. Yes, a few times I had other students take the camera and go shoot other material, but there was still a lot that I missed, largely in part due to my (common teenage problem of) not really fitting in or feeling comfortable in strange social groups. What ended up happening was that the DVD of footage was finished but never released. In fact, I don’t even have a copy myself. However, I’ve been sitting on this raw footage for nearly a decade now and I figure, hey, now’s as good a time as any to put it out there. So here it is, for the students of Hot Springs High School during the 2005-2006 school year. This playlist is not finished yet, there are still videos that need uploaded. I will update this post when it is complete, but I just wanted this explanation out there in case someone saw some of these and was curious where it came from and why. Please remember, this is that school year through my eyes, not anyone else’s. (again, barring those 2-3 times I let someone else take the camera) I cleaned up some of the video, took out some irrelevant parts or parts that I knew would be embarrassing for some people I know, but for the most part I left it as it has been sitting on my hard drive for a decade. Teenagers say and do really stupid stuff and some of that is on there. There will probably be a lot of cringing for some people. But that’s who we were, and that should be celebrated! 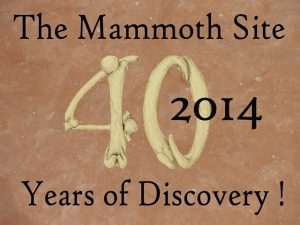 I had the great fortune of being able to film the Mammoth Site’s 40 Anniversary Gala. Multiple guests to the dinner were able to speak about their experiences with both Dr. Larry Agenbroad and the Site, a National Natural Landmark located in Hot Springs. The emotional speeches were punctuated by the absence of Dr. Agenbroad, who was in the hospital and was “devastated” to miss the event. As anyone who is familiar with the Site knows, Dr. Agenbroad and the Mammoth Site are nearly one and the same. The Mammoth Site got multiple requests for copies of the Gala video, so they have made it available to purchase through their gift shop, both at the site and online (the link is below.) Included on the DVD is a mini-documentary produced by staff at the Mammoth Site (and converted from Powerpoint to video by me) that I think is worth more than the Gala itself. To those traveling through Hot Springs their first time, the stretch of Highway 385 that cuts right through town may seen like “Main Street.” However, it actually consists of several different streets. Sherman Street on the drive south from Wind Cave National Park , a turn right onto Battle Mountain Avenue, a left turn at the Evans Plunge onto North River Street, followed by a long stretch aaaaaaaaaaalllll the way down to Jennings Avenue. A short section of that street turns into South Chicago Street, which evolves into 6th Street for about a block near Lynn’s Dakotamart and then into Jensen Highway just past said grocery store. Never once does it ever include a section of the street officially titled “Main Street” in Hot Springs, but the unknowing traveler could be fooled. The heavy traffic easily led to more businesses springing up along that roadway than the real Main St, which actually is a brief little side road that forks off from North River Street just near the Flat Iron. 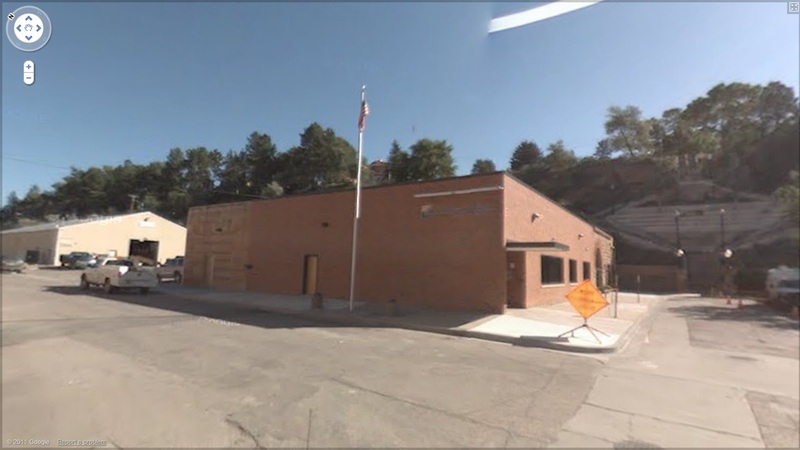 It pretty much now exists for the Golden West Communications Building and the back-door entrances to the businesses along the opposite side of the block. But that wasn’t the original intention. 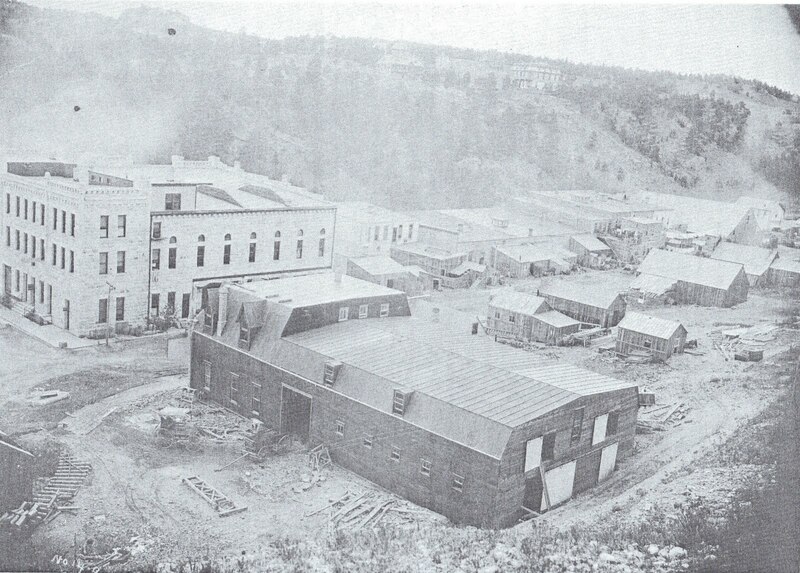 When Hot Springs was originally being settled and developed, Main Street was going to be a bustling locale with all sorts of shops and offices for lawyers, carpenters, grocers and tailors. But with the rail line instead moving across the way near Fall River, businesses began springing up on the other side of the block. After all, they would get more business from people just leaving the depot if they faced westward toward the river instead of east toward an empty hill. Around 1891 – when Once Upon a Time In Hot Springs takes place – plans had already been set in motion for a new sandstone block to be built across the street from Fred Evans’ luxurious Minnekahta Hotel, already a main draw for tourists from across the nation. (More on THAT later… much later.) Minnekahta Block, as it was called, was not completed until 1892, but when finished, initially housed a bank and a drugstore, with plans for an opera house in back. Once it was completed with its North River Street-facing front, that pretty much sealed the deal for the end of Main Street’s duration as the true “main” street in Hot Springs. The picture at the top of this article is of Main Street, looking West, circa 1894 – 1895. The building in the foreground was a livery stable, but is now the location of the Golden West building, as seen in the photo above via Google Maps. The picture immediately below is circa 1890, and as you can see, neither the livery nor the Minnekahta Block existed at that time. Photos in the Grabill Collection show the Block under construction. Now that we’re looking at the other side of Main Street, in the next edition of Then & Now we’re going to take a look at the “upper town” section of North River Street, including Minnekahta Block, the Flat Iron, the train depot, and in the article following that we will have some more information about Fred Evans and his impact on both Hot Springs… and on Jesse’s time in 1891 Hot Springs. Between 1887 and 1892, photographer John C. H. Grabill submitted a total of 188 photographs to the Library of Congress to be copyrighted. In doing so, he left for future generations of one of the most complete collections of historical photographs of the real Old West. His photographs speak messages of Natives’ sorrows, settlers’ hardships, miners’ disappointments, and the life of the people in the Black Hills of South Dakota. But his photographs also depict the pioneer spirit that won the West; that seemingly overnight turned tiny towns into thriving, bustling communities. Grabill’s photographs are so well-known that Googling “cowboy” brings up the most iconic of them all: a solemn-looking man sitting atop a mare while another horse grazes in the pasture behind him. The photo is aptly named “The Cow Boy,” and likely influenced the depiction of cowboys in dime novels, comic books, movies, and television series. The pictures show the aftermath of the Wounded Knee Massacre in 1890, as well as the lives of cattle herders on the open plains, the homesteads, landmarks, mountain ranges, and cascading rivers that one thinks of when they think of the Old West. They also depict the towns the sprang up – some literally – due to the movement of settlers into Dakota Territory. Case in point: Hot Springs. In doing research for “Once Upon a Time in Hot Springs,” Skeeter Bite Productions found quickly that the Library of Congress’ Grabill collection was THE go-to source (online, anyway) for pictures of Hot Springs’ formative years. According to what we discovered, Grabill was primarily based out of Deadwood, SD, but also had a photography studio in Hot Springs, and he documented how the city grew over the course of two years. 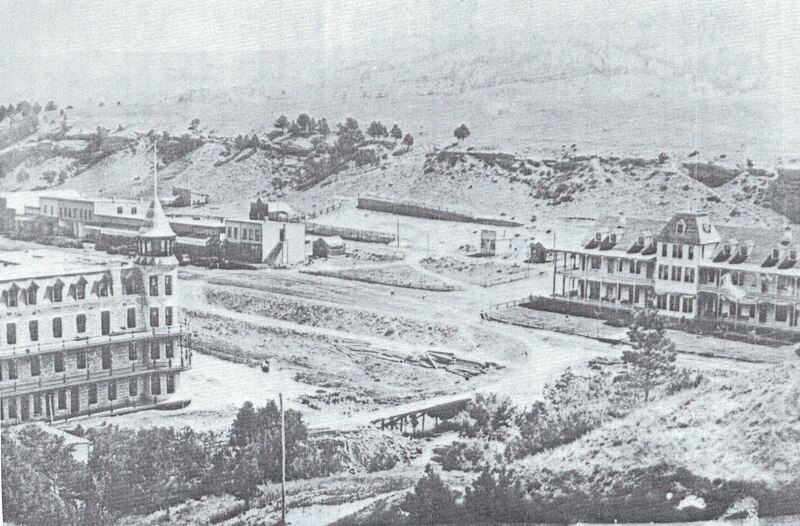 Between 1889 and 1891, the town went from a small settlement marked by only a few sparse homesteads, with only Fred Evans’ Minnekahta Hotel standing as a premonition of what was to come, into a sizeable small town with numerous hotels and spas taking advantage of the natural warm water springs there. 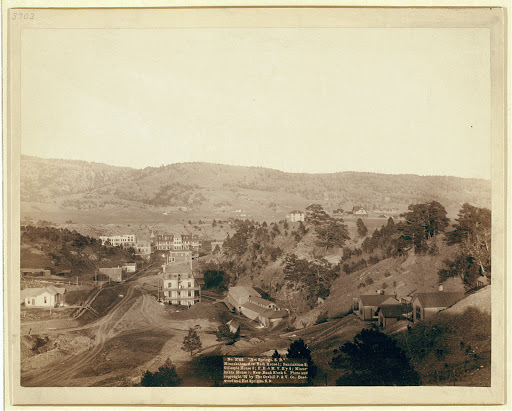 Photo at top: Hot Springs, 1889. 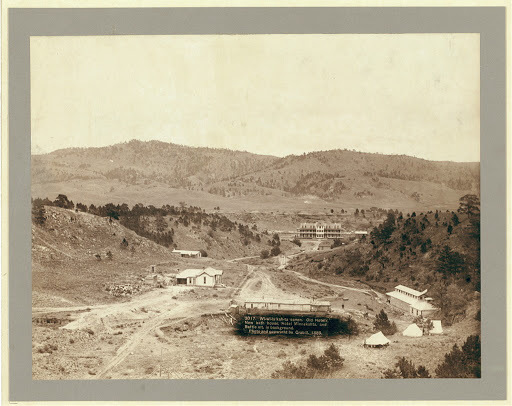 Photo above: Hot Springs, 1891. Both images are in the Public Domain. The Grabill collection also features Hot Springs-related photos showing Fred Evan’s Minnekahta Hotel during its prime, the then-new Evans Plunge (both inside and out,) the Veteran’s Home, and Fall River Falls – all landmarks nearly instantly recognizable to both those who live in Hot Springs and those who come to visit. This connection is important for the characters in “Once Upon a Time in Hot Springs,” and for those who read the book: it grounds the story in reality. When you read of the locations the characters visit as described in the book, you know that these places were real once, long ago and some of them are still there today. These photographs provide a window into the past; we hope that “Once Upon a Time In Hot Springs” does the same, and that you feel the same passion for this unique town that these pioneers, John Grabill – and the people depicted in most of his photos, had when you read the book.